We thank you in advance for your interest in and support of our endeavor. Any questions or comments are greatly appreciated. First conceptualized in the fall of 2015, Bracket Bingo has set out to create a new approach to the ever popular March Madness Bracket Challenge that is associated with the NCAA Men’s Basketball Tournament. Although still in the early stages of development, our game has grown in popularity and is slowly gaining traction. Our implementation of sustainable growth (“smart growth”) allows us to make the necessary changes in hopes of creating a user friendly environment/product that people will continue to play year after year. Bracket Bingo is FREE to play but we ask that players submit only one card each and that all players are at least 18 years of age. So do yourself a solid and join us for next year’s Bracket Bingo Competition. You can also show your support by Following us on Twitter. 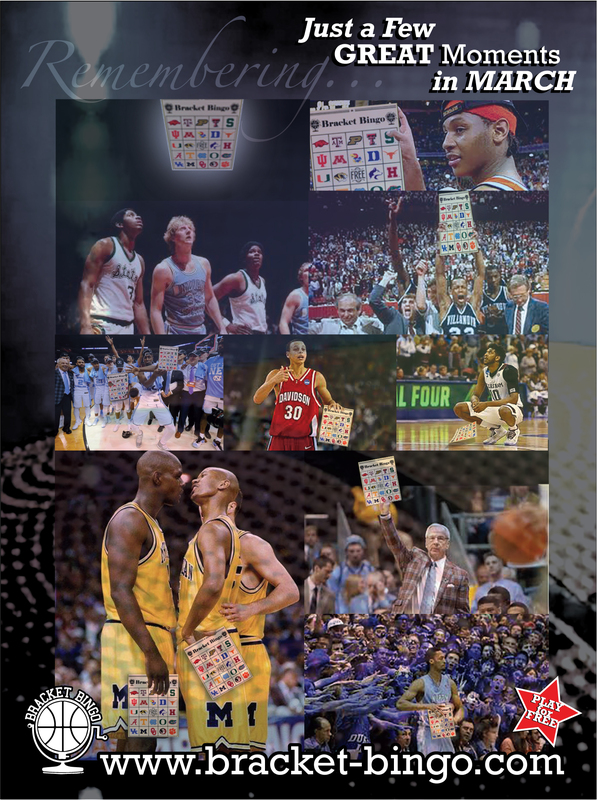 Thanks again for checking out “the bracket game…you never heard of”.